You are here: Home Drone Surveying and Mapping Drone Photogrammetry Surveying: Why Use Photogrammetry For Surveying And Mapping? Drone Photogrammetry Surveying: Why Use Photogrammetry For Surveying And Mapping? Photogrammetry is a process involving the generation of precise measurements from photographs and is typically used an application for line plotting on topography maps. In recent times, however, photogrammetry has evolved into a multipurpose technique that has been readily integrated into an array of modern applications. Photogrammetry incorporates remote sensing and accelerated photography to create precision measurements that are capable of processing two-dimensional photographs into three-dimensional models. This unique ability of photogrammetry has produced an intense level of interest from a large collection of businesses, programs, and individuals. 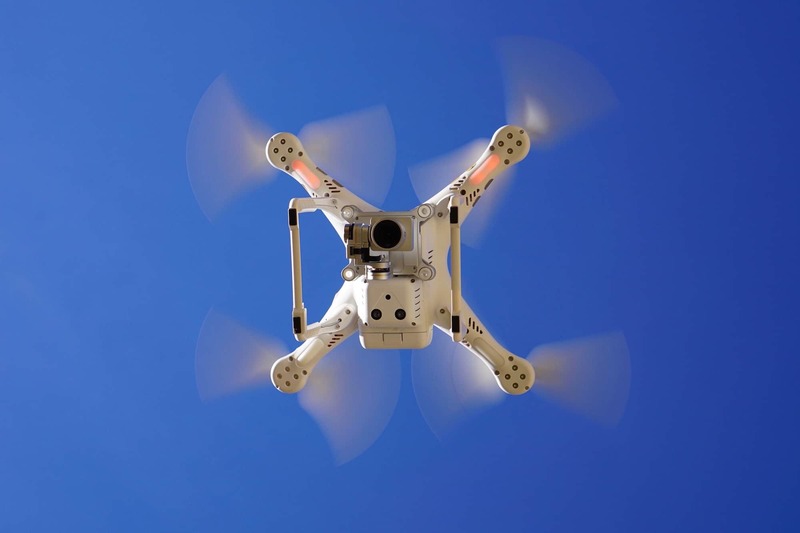 Concurrent with the rapid rise in popularity of unmanned aerial vehicles (UAV), better known as drones, photogrammetry has enjoyed a similar rise in consumer interest, with many buyers attracted by the immense advantages presented by readily accessible drone photogrammetry use via increasingly affordable aerial drone aircraft. Read on below to learn more about the many benefits of using photogrammetry drones for mapping and surveying. The advent and ongoing evolution of drone technology have transformed the photogrammetry industry by rendering it accessible for a wide variety of individuals and interests. Once relegated for use by highly trained professionals, photogrammetry is now a user-friendly process with a plethora of interested consumers readily making purchases without any formal training. The user-friendly aspects of photogrammetry are directly linked to the booming drone consumer market featuring an abundance of models for highly specific individual interests and at an array of attractive price points. With drones becoming more and more affordable, consumers are able to use them as a vehicle for their photogrammetry endeavors, made particularly effortless via popular software applications such as Correlator3D. Photogrammetry equipment is easy to transport and fits well on any surveying truck. Photogrammetry has experienced a significant evolution since its inception. Today it is a multi-functional process that is ideal for any application requiring high-resolution imagery of the utmost quality. The most common alternative to photogrammetry for ground-based surveying is a process called LiDAR, which is very task-specific, commonly inaccurate, and notoriously inferior in its ability to obtain superior imagery. Photogrammetry is exceptionally accurate and provides the kind of precision that is rarely seen at budget pricing. The drone market has a vast array of entry-level budget models that easily incorporate photogrammetry processes and provide high-resolution images for all manner of interests. The drone performs the photogrammetry processes by creating a comprehensive record of information on any particular site, without a dependency on sensor direction or positionality. Rather, the UAV photogrammetry software operates by incorporating each and every pixel within a single frame while it removes errors and creates a precise geographical image from hundreds or even thousands of pictures. Consumers will be interested to know that UAV photogrammetry can provide at least +/- eight centimeters of accuracy, if not better along with high-resolution and full-color imagery. This kind of precision is achievable with even entry-level equipment at a variety of price points. Photogrammetry is incredibly affordable in contrast to competing LiDAR systems. LiDAR is a technology that is difficult to obtain due to stratospheric pricing, complicated use, and a minuscule consumer market. Conversely, a high-quality professional drone can be had for under $1000 along with a performance camera costing $500 and below. In fact, many performance cameras on the consumer market come with professional drones for the purposes of photogrammetry imaging. Historically, photogrammetry was very unattainable due to its formerly common use on airplanes equipped with costly aerial cameras. Typically used in the military, photogrammetry was not only a foreign concept to most citizens but also one that was reserved for the upper echelons of society. The specialized uses of UAV photogrammetry and nearly non-existent market in years past not only rendered it photogrammetry very expensive, but it also created a situation where photogrammetry was wholly inaccessible to the regular citizen. In today’s modern times, professionals, hobbyists, and small businesses are able to employ photogrammetry technology via unmanned aerial vehicles. The end result is an easy to operate and affordable means to achieve the kind of precision surveying and mapping imagery that only photogrammetry can provide. As previously mentioned, photogrammetry has in years past been used in conjunction with airplanes, often within the military. As a result, photogrammetry tasks typically took a significant amount of time to complete. Conversely, drone-powered photogrammetry tasks can be completed rapidly and with results that are nothing less than the highest quality. For the smallest projects or biggest missions, drones are able to power photogrammetry technology in never before seen ways. Highly mobile, achievable of multi-positioning, differing degrees of elevation, and an incredible ability to navigate the tightest spaces, drones exemplify cutting-edge technology and are superior for completing a multitude of jobs, projects, and tasks. Important to note is the ubiquitous overhead obstruction issue experienced by many users. Unmanned aerial vehicles can be pre-programmed with travel along a waypoint to move with exceptional precision through small areas that a human pilot would never be able to navigate. The compact sizing of a drone bypasses obstruction problems easily and enables users to achieve high-resolution imagery that would otherwise be impossible. Photogrammetry is an incredible technology that has existed for decades but has only become readily accessible to regular citizens and an array of consumer interests. In contemporary times, the robust availability of photogrammetry has been heavily reliant upon the continually evolving drone market, featuring an array of professional and entry-level models that easily incorporate high-powered cameras for photogrammetry endeavors. Working in conjunction, photogrammetry and drone technology enable a variety of professionals and businesses to take high-quality, high-resolution images for projects both big and small in an efficacious, affordable, and user-friendly way. Utterly versatile, and the optimal choice of those seeking a means to achieve surveying and mapping data, photogrammetry is an integral part of a transformative technological boon that is sweeping our society today.